It’s so odd that just as the media everywhere is crying BS over the lost IRS chief Lois Lerner’s emails, the State of Colorado also has suddenly been unable to find unwitting Obamacare whistleblower Jo Donlin’s emails. 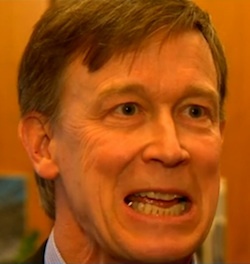 Hickenlooper has been an advocate of not shining sunshine into the cavernous and fetid workings of the government. Maybe this is just another case of his unwillingness to be transparent. But, still we call bullsh!t on his lack of accountability to the people of Colorado.